Collaboration with E.G. Crichton. This multi-media installation was sited on the front porch of the UCSC Women’s Center. As the chairs rocked mechanically, taped voices played of women speaking of their hopes, fears, and desires. 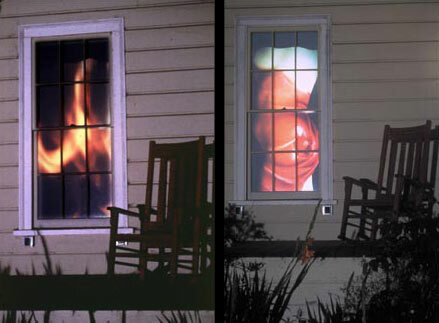 In the evenings, slides projected through the windows of the house. The images ranged from women’s bodies, to historical photos of suffragettes, to burning flames. During the day people would often sit on the porch and listen to the voices or talk amongst themselves.